I think it’s safe to say I’m a little obsessed with paper roll stamps. Who wouldn’t be, it’s a free craft to do with your kids. Any craft that comes out this adorable and I can use items I already own, I’m in! Maxwell sure gets excited every time we run out of toilet paper or paper towels now. 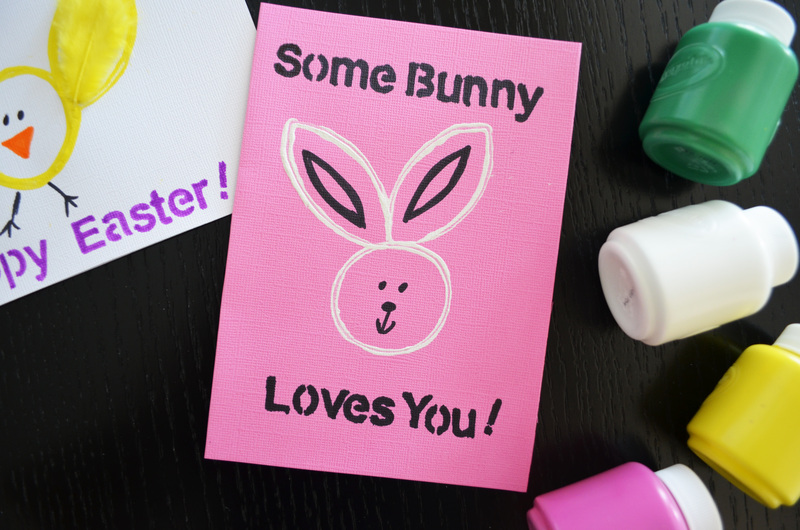 LOL Here I have three different Easter themed stamp ideas and messages you can use to make your own personalized cards. 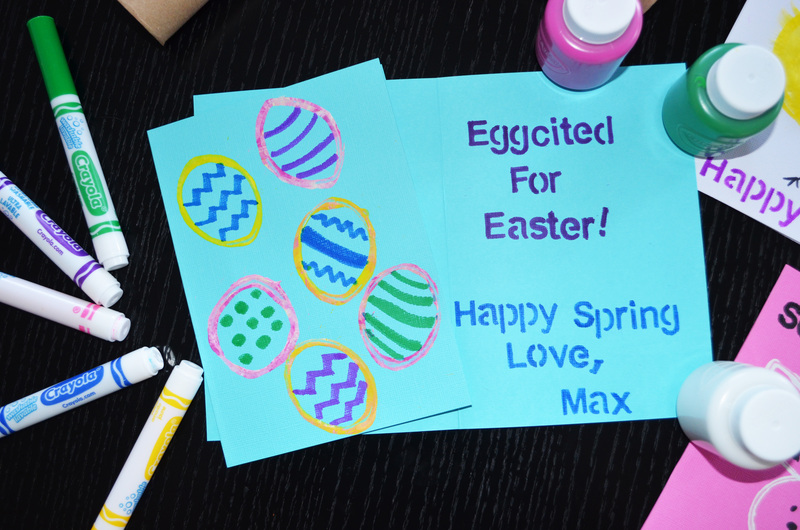 You could easily use any of the cute stamps to make a happy spring card as well. 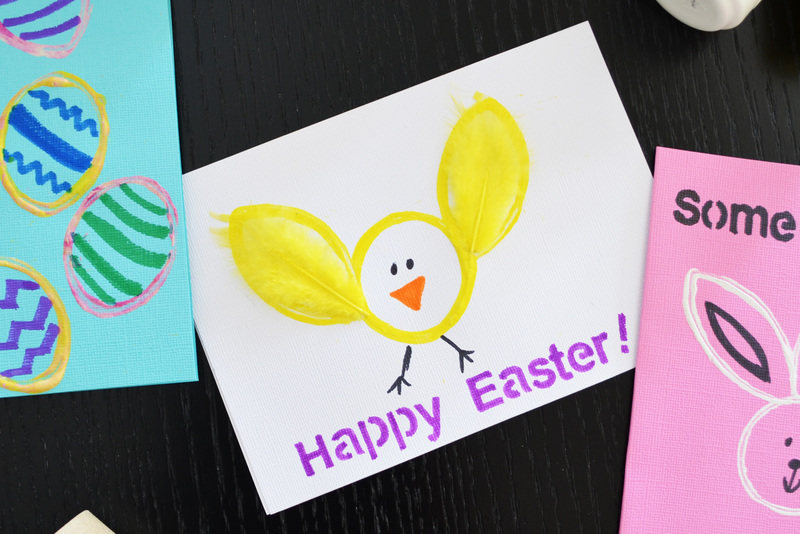 If your not making a card this is still a fun craft to make wonderful memories with your kids. My absolute favorite! This little chick is so easy and so stinking cute! I had some yellow crafting feathers that I adhered right into the yellow paint. You just need one circle paper roll and one oval roll, making sure to pinch the ends of the oval to a point. Make sure your wings are placed up high like in this picture, I tried other positions and it wasn’t as cute. You could also put “Peep Peep” on the front of the picture.